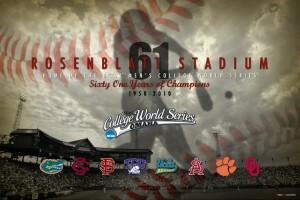 Collegiate Baseball Newspaper has announced its 2011 Louisville Slugger Preseason All-American teams. UCLA pitchers Gerrit Cole and Trevor Bauer are the only teammates to be named first team All-Americans. The duo helped leads the Bruins to a runner-up finish at the 2010 College World Series. Bauer was 12-3 with a 3.03 ERA and 165 strikeouts in 2010, while Gerrit was 11-4 with a 3.37 ERA and 153 Ks. 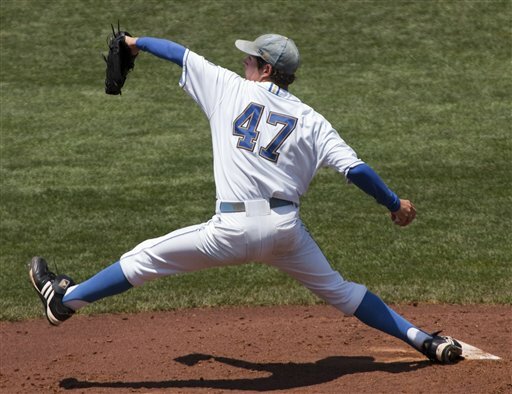 Other first team pitchers are Matt Purke-TCU (16-0, 3.02 ERA), Taylor Jungmann-Texas (8-3, 2.03 ERA), Danny Hultzen-Virginia (11-1, 2.78 ERA), Noe Ramirez-Cal State Fullerton (12-1, 2.54 ERA), and John Stilson-Texas A&M (9-1, 10 SV, 0.80 ERA). First team position players are C-Peter O’Brien-Bethune-Cookman (.386-20 HR), 1B-Paul Hoilman-East Tennessee State (25 HR, .421), 2B-Zack MacPhee-Arizona St. (.389, 20 SB), 3B-Anthony Rendon-Rice.394, 26 HR), SS-B.A. Vollmuth-Southern Mississippi (.386, 20 HR), OF-Jackie Bradley, Jr.-South Carolina (.368, 13 HR), OF-Alex Dickerson-Indiana (.419, 24 HR), OF-George Springer-Connecticut (.337, 18 HR, 33 SB), DH-Garrett Wittels-Florida International (.413, 56-game hitting streak), UT-Mike McGee-Florida State (.328, 17 HR). Purke is projected by Collegiate Baseball as the National Player of the Year. Give a unique gift this Christmas from Dugouthats.com! The Dugout in Omaha has officially licensed 2010 College World Series memorabilia that would make the perfect gift this holiday season and it’s all marked-down right now!